After the death of Amir Mohammed last week in a car accident, the Club TT Motorsports has released an official statement to the media houses on the subject, here is the full text. The Motorsports Time Trial (TT) story began in 2013 with the first Kiamburing TT. From humble beginnings the event has grown rapidly. It has become one of, if not the, premier event on the Kenyan motorsport scene. Club TT Motorsports was formed to be able to run the tarmac motorsports with close partnership of like-minded stakeholders with the main aim to build the sport and push for safe driving from illegal street racing. The late Amir Mohamed was one of our pioneer directors and was an active participant in our time trial events. Until his demise he championed for safety in motorsport and was in fact among the first people to install a roll cage in his car. 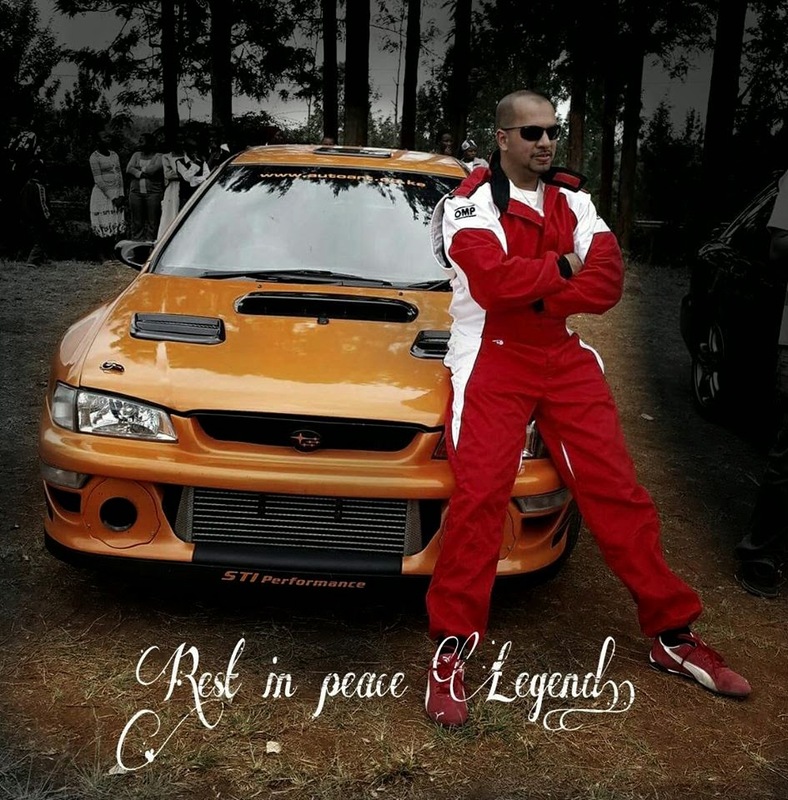 On Sunday 15th March 2014 the late Amir Mohamed, a garage operator and car tuner of great repute was enroute to meet his friend Jay Soni, a renowned car tuner and young pilot, to test his recently rebuilt car, a Nissan Skyline R34 GTR. They were unfortunate enough to be involved in a head-on collision along the Ndumberi- Limuru road. They were driving in opposite directions with the hope of meeting somewhere along that stretch of road. However, there was no event organised by the club at the point in time of the accident. This was purely two friends who had intended to meet and discuss the prevailing setup of Mr Mohamed’s GTR. We are indeed greatly saddened and at a loss. Jay Soni, who was driving a Mercedes Benz C63 AMG sports saloon when the accident occurred, was rushed to hospital and he is responding well to treatment. His condition is critical but stable. The club wishes him quick recovery and holds him in our prayers from the depths of our hearts. The late Amir Mohammed will be laid to rest tomorrow 17th March 2014 at Ismaila Cemetery in Kariokor. We urge the friends and colleagues who will come, that parking is limited at Aga Khan Hospital where the funeral cortege will leave at 9:30am. We kindly request you to car pool for convenience and logistical purposes. As we pay our last tribute to our friend, father, husband and colleague, let’s do it with the dignity and respect deserving of such a great motoring icon; even on digital platforms.